Gidget and I were guests on "Into The The Best of... Internet Radio with Kimberly Rinaldi" Wednesday, November 25 at 10 AM PST. Not able to listen LIVE? You can listen on iTunes ANYTIME – The Best of... Internet Radio. Here is the link. 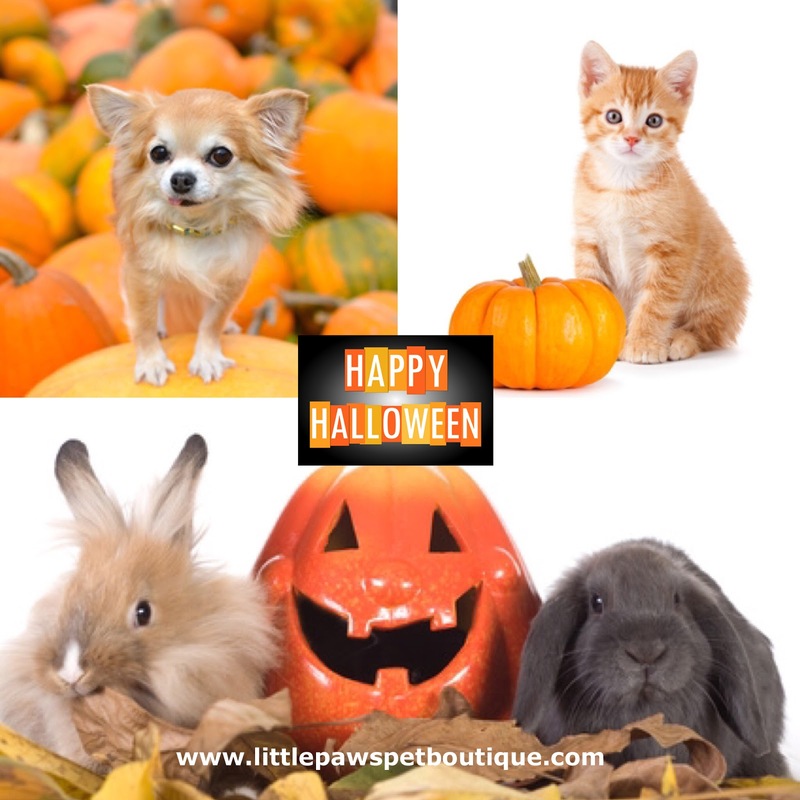 All of us at Little Paws Pet Boutique wish you, your family and friends a wonderful Thanksgiving. We have a lot to be thankful for and we are especially thankful for all of our "Pawsome" customers. Because of you we have been able to follow our dreams and we have been able to give back to our local animal shelters and rescues. We want to express our gratitude by giving you 15% off your next online purchase until 11/30/15 and a Free Gift with online Purchase until 12/31/15. 1. No pets in the kitchen. Pets can get into the trash can. Make sure you pick up food that you accidentally drop while cooking or eating. Pets in the kitchen may also cause you to trip. There is a chance that pets underfoot could be burned by hot liquids or cut by shattered glass. 2. Food Safety: Do not feed your pets turkey bones, chocolate, grapes, fatty trimmings, bread dough, mushroom, onions and garlic or alcohol. 3. Make sure your pet has a collar id tag. 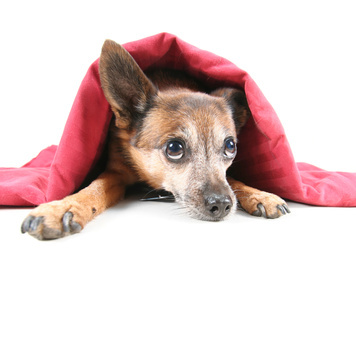 Holiday stress and people coming in and out of your home is one way your pet might escape the home. 4. Keep lighted candles and glass decorations out of your pets way. 5. Make sure to educate your friends and relatives not to feed Fido or Fifi table scrapes. 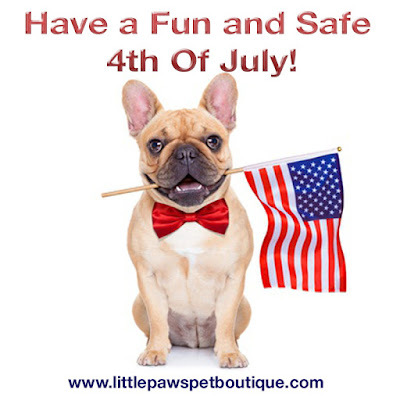 Celebrate Little Paws Pet Boutiques 2nd Anniversary! We are happy to announce that Little Paws Pet Boutique is celebrating its 2nd Anniversary on 09/09/2015. Gidget (Chief Dog Officer) and I have had so much fun in the past year meeting and also receiving many photos of our "Pawsome" Customers. For the whole month of September we are offering you Free Shipping and a Free Gift with your online purchase. We are looking forward to the upcoming holidays and we are busy ordering new products, applying for new holiday vendor events and will be announcing a Facebook giveaway contest soon. If you are not on our Facebook Social Media Page please "like" our Facebook page by going to our website and clicking on the social media pop up (pop up shows only on desktop/tablet). This way you can enter into the free giveaway contest and also immediately get a social media coupon for your next order. Once the contest is up all you have to do is "like" the post and write in the follow the directions of the contest. A random generator will pick the winner and the prize will be mailed to the winner. Little Paws Pet Boutique was started by a dream of always having a passion for animals and the mindset to make a difference and give back. We continue this dream and we thank you from the bottom of our hearts. Your Dog and Heatstroke. Hot Weather Safety Tips. Temperatures are rising. As pet owners we should be aware of dangerous to deadly summertime dangers such as: Not overexerting your pets on hot/muggy days, Making sure they have plenty of water, Not walking your pet on hot pavement and not leaving your pet in a parked car. 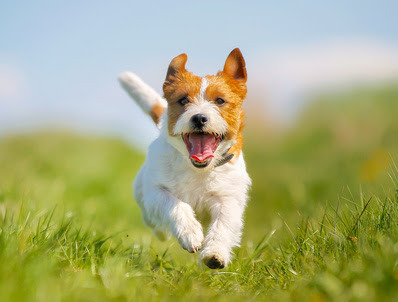 Heatstroke can occur very easily when the normal cooling mechanisms of a dog such as panting, sweating through their feet pads and nose can't keep their body temperature in a safe range. If you suspect your dog is suffering from heatstroke you should contact your vet immediately. Move your dog to a shaded/cool area. Cool your dog by applying towels soaked in cool water (Not ice water) over his neck, stomach, back, and feet. 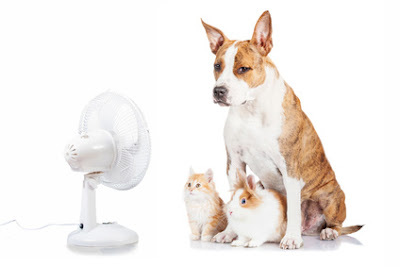 If possible put your dog in front of a fan, or begin fanning them down. Ask for help if needed. Take your pet to the nearest vet immediately. Keep the number to the nearest emergency vet stored in your phone so you can call ahead to alert the staff that you are bringing in a dog in heat distress. Provide shade: If you do take your pet outside for exercise, play or a walk, make sure he or she has plenty of access to cool water, shaded areas and rest. Choose to walk your pet earlier or later in the day to avoid the heat. Risks for short nosed dog breeds: During hot weather, it is important to be cautious with short-nosed (brachycephalic) breeds, such as Pugs, Shitzu, Pekingese, Bulldogs and Boxers, which have shorter faces or noses. These breeds have a harder time panting out body heat so may be at higher risk. Consider pets (including cats and rabbits) with particular risks for heat stroke: Very old/very young, sick or debilitated pets, pets with heart or respiratory disease are a greater risk for heatstroke. Never leave your pets in a parked car: The temperature in a parked car can reach oven like temperatures in a few minutes even with the windows cracked open and may have fatal results. Watch out for your dogs paws: Pets can burn their pads on hot asphalt, rock or sand easily during very hot weather. Also, never leave a muzzle on a dog during hot weather as the pet may not be able to pant freely. Keep cool indoors: If your pets will be indoors on a hot day, make sure to give them access to water and a cool area. Keep an air conditioner or fan on. Happy 4th of July! 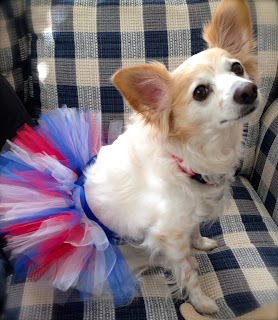 Do you dress up your pet or include them in celebrations? Here are some helpful tips you can follow to make the firework celebration less frightening for your dogs. Exercise your dog early in the day before festivities begin. Keep your dog indoors and create a safe place. Close all curtains, blinds to minimize the noise and light effects of the fireworks. Never leave your dog unattended even in a secure yard. Playing calming music or turning on the television can help to drown out the firework sounds. 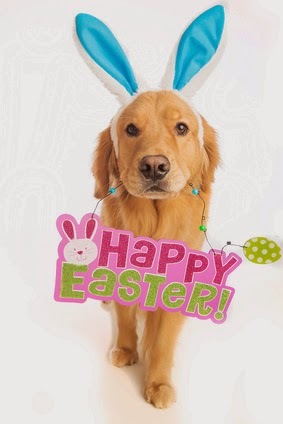 Provide a special treat for your dog. Try playing games or exercising to distract your dog. 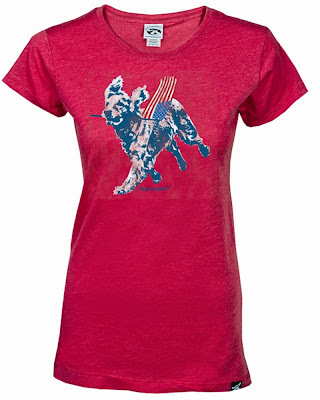 Most importantly make sure your dog is wearing a current I.D. Tag at all times. 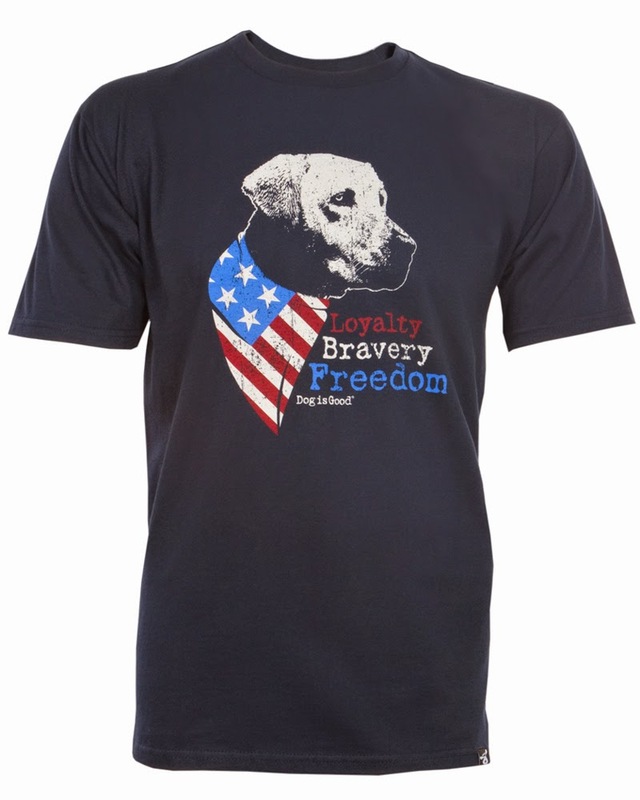 Also, make sure you have a current photo of your dog available...since more pets get lost on July 4th than any day of the year. wish you and your pets a Happy & Safe Fourth of July! 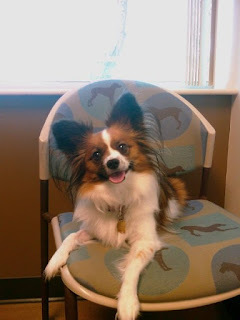 Take Your Dog To Work Day was first celebrated in 1999 and was created to celebrate the great companions dogs make and encourage their adoptions. Here is Gidget working on Little Paws Pet Boutiques social media with her i Paw'd. Have a great Friday everyone! 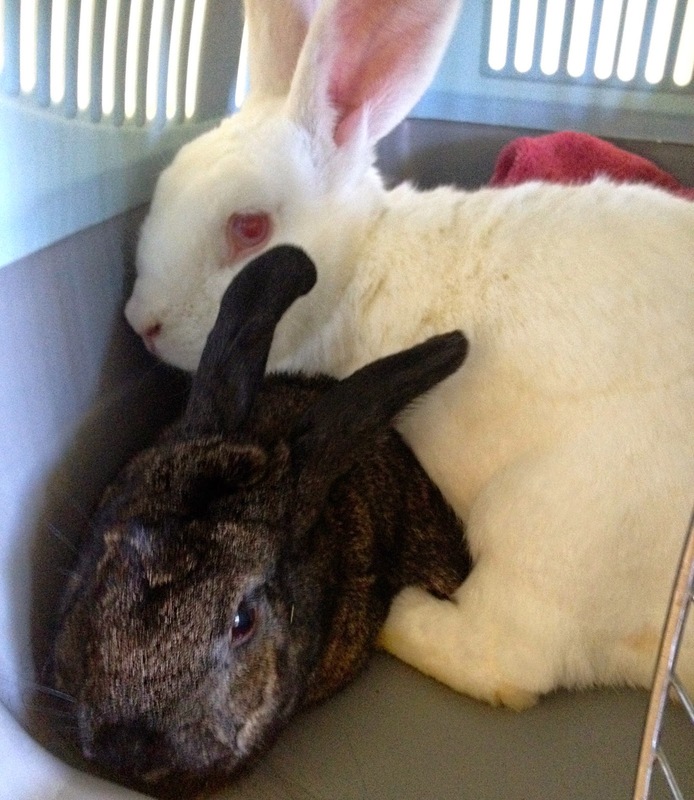 Our sweet foster bunnies Casper & Heidi have found their forever home! Today they were adopted to a wonderful family. Gidget is still adjusting to this by moping around for the feeling is bittersweet since it is our first time fostering. We will miss Casper & Heidi but, so happy they have a loving family and home. ..."Harley & Joey"! Both bunnies are Dwarf breeds and are about 6 years old. Harley is the tan and multi colored female. Harley is the dark chocolate colored bunny with the cute white nose. Spayed/neutered and litter box trained. They have only been here for a couple of hours and they both are very active running and jumping in their pen. They also let me hold and pet them. They are happily bonded and are looking for their forever home. If you have any questions or would like to adopt Harley & Joey please go to this link http://sweetpeafoundation.net/adoptable_bunnies and click on "contact us". Thank you! 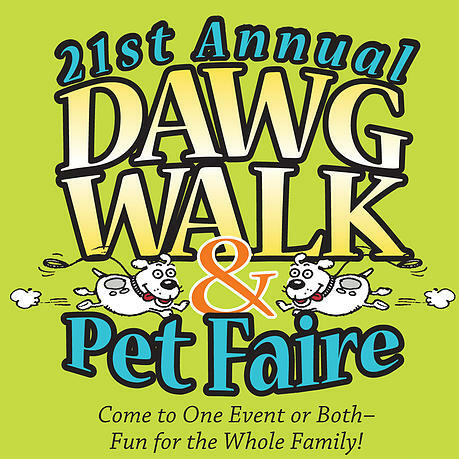 Saturday, June 20th 2015 8am to 12pm Little Paws Pet Boutique will have a booth at the Dawg Walk & Pet Faire Event in the Village Green at the Norman P. Murray Community Center! 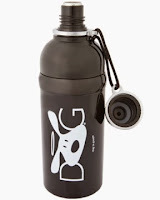 We will have new and best selling dog, cat, rabbit and pet parent products at Special Event Prices. 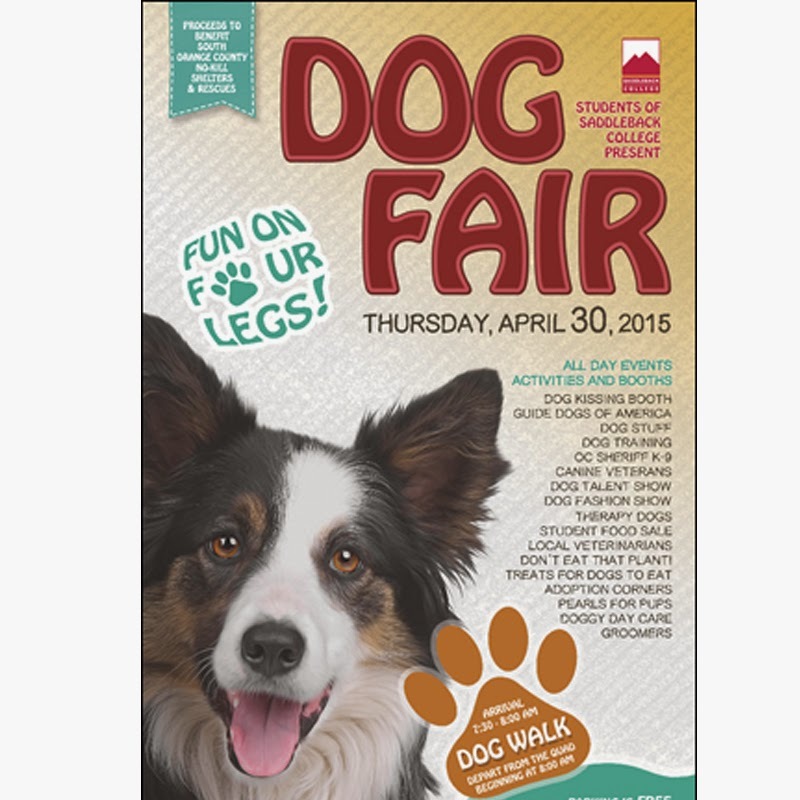 Come by our booth and say "Hi" to Little Paws Pet Boutique Model and Chief Dog Officer Gidget. Hope you can join in on the fun! 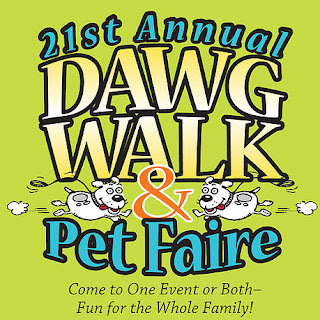 "Join animal lovers at the 20th Annual DAWG Walk & Pet Faire on Saturday, June 20th, along the Village Green at Oso Viejo Community Park! The Dedicated Animal Welfare Group (DAWG) and the City of Mission Viejo Animal Services Center are hosting the fun-filled family event that includes an impressive display of animal performances, pet contests, pet and wildlife exhibits, silent auctions and more! 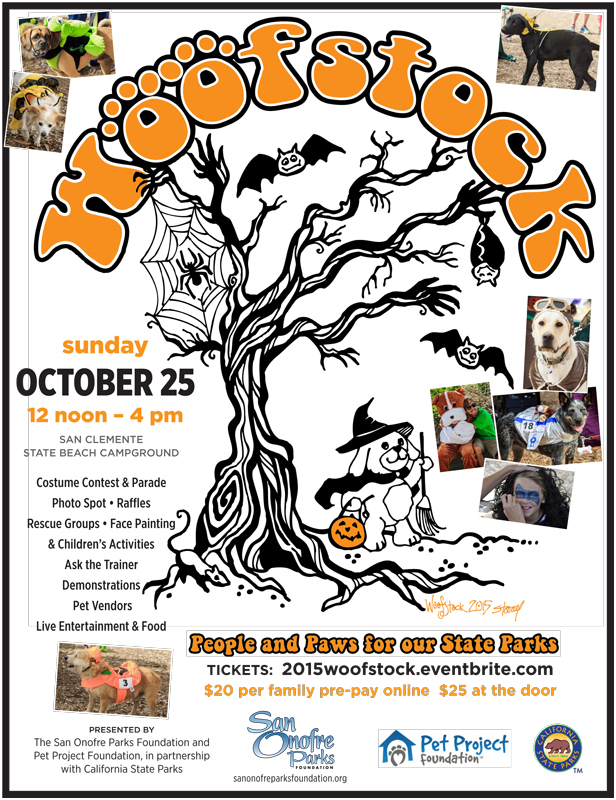 The event includes a pristine walk along the Oso Creek Trail, and the Pet Faire features local businesses, animal rescues, booths, entertainment, music, raffle prizes, refreshments and much more. 7:00am DAWG Walk Registration Opens ($30 day of event, $25 before June 16th). T-shirt and goody bag included. Rain or Shine! Sorry, no refunds. Go to www.dawg.org to download Pledge Forms! All donations go to help the animals of the Mission Viejo Shelter!" 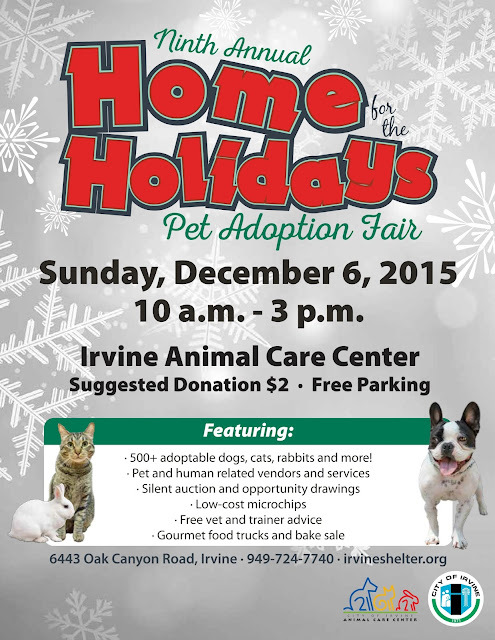 Come join us at the Super Pet Adoption Event at the Irvine Animal Care Center! Little Paws Pet Boutique will have a booth there with dog, cat, rabbit and pet parent products at Special Event Prices. Come by our booth and say "Hello" to Little Paws Pet Boutique model and Chief Dog Officer Gidget. 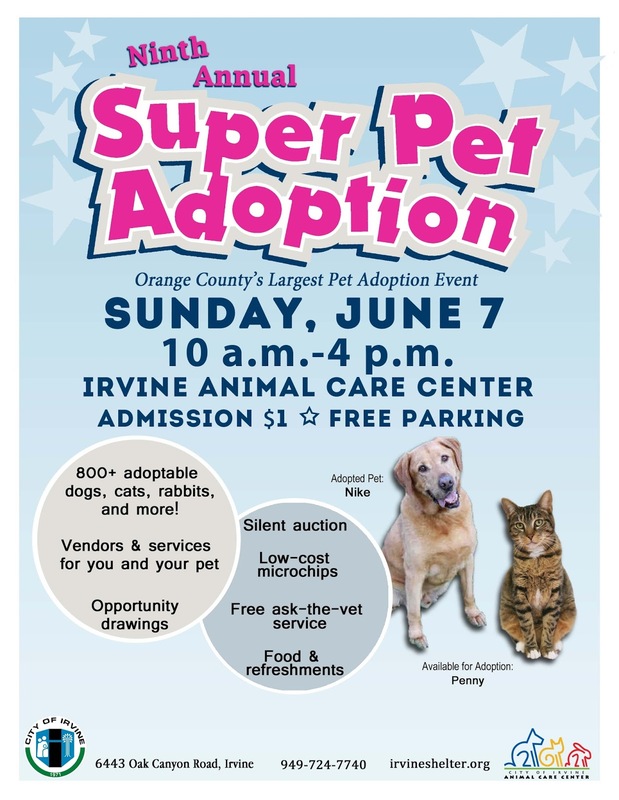 "The City of Irvine Animal Care Center will host its ninth annual Super Pet Adoption event on Sunday, June 7 from 10 a.m. -4 p.m. at 6443 Oak Canyon Road, Irvine. More than 50 pet rescue groups and animal shelters will bring more than 800 homeless dogs, cats, rabbits and small animals for adoption. The event will also feature vendors, refreshments, free veterinarian and trainer advice, low-cost microchips and a silent auction of more than 40 items. Admission is $1 per person and parking is free. Leashed and vaccinated dogs are welcome." Proceeds to benefit South Orange County No-Kill Shelters & Rescues.Participate! - Bring your dog or just yourself! For a $10 donation participants will receive admission, as well as two tickets for an opportunity to win a door prize. Casper & Heidi are our new Foster Rabbits. Casper the white bunny weighs around 8lbs and Heidi the black bunny weighs around 6lb. 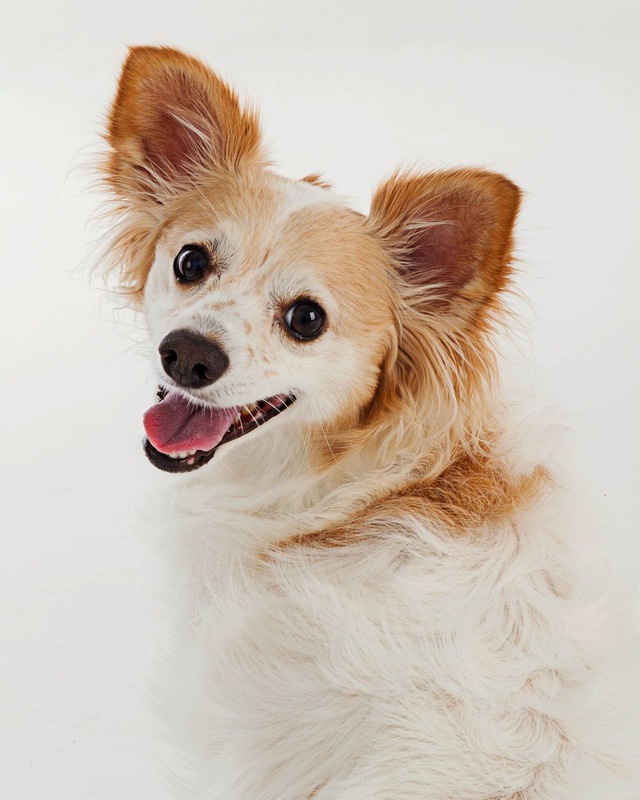 Casper is friendly, mellow and plays with a ball! Heidi is very sweet and shy. Together they make the cutest couple...bunny love. If you have any questions or would like to adopt Casper & Heidi please go to this link http://www.sweetpeafoundation.net and click on "contact us". Also check out the tab "Adoptable bunnies" to see more information about Casper & Heidi and the other bunnies waiting for their forever home. 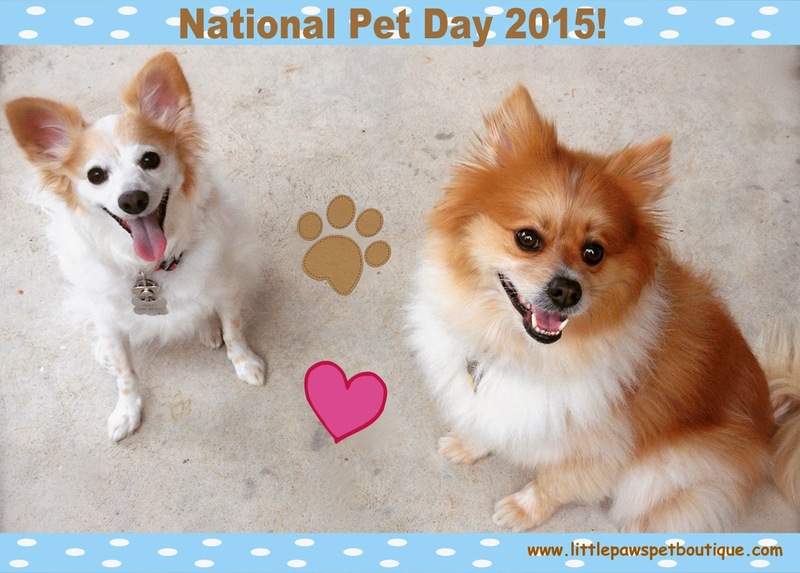 What are you doing for National Pet Day? Here are some ways to celebrate. 1. Adopt a pet from your local shelter or rescue organization. 2. Volunteer or donate blankets, food and toys to a local rescue or shelter. 3. Have a National Pet Day outing or party for your pets. 4. Have a portrait painted or photo taken professionally of your pets. 5. Buy a new fun toy or yummy treat for your pets. Enjoy savings off your entire order including new and sale products. Take 15% off your entire purchase from 04/06/15 to 4/19/15. 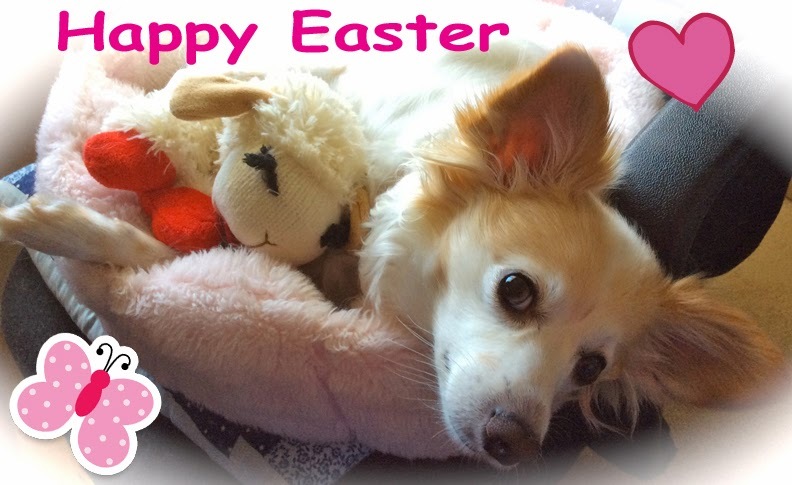 Happy Easter from Little Paws Pet Boutique! Take 15% off your entire purchase from 3/29/15 to 4/3/15. 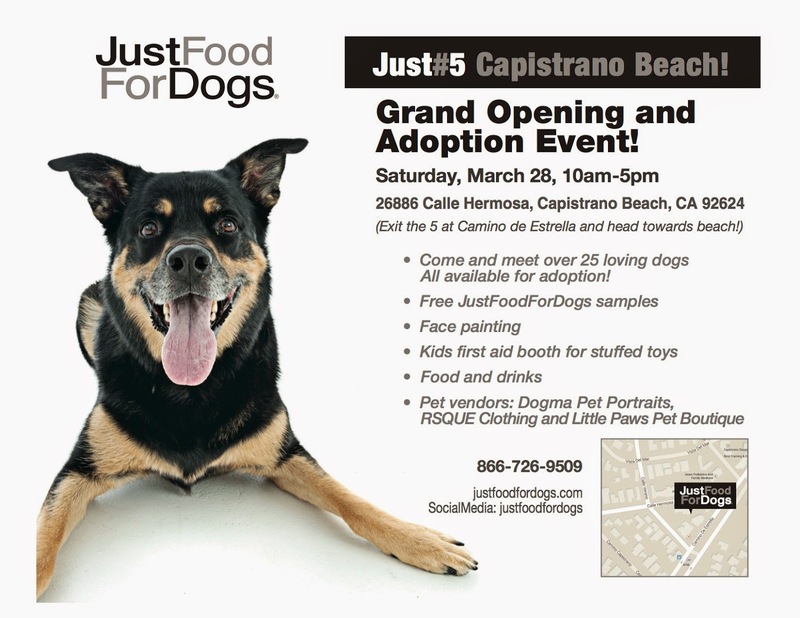 We are so excited that Just Food For Dogs is opening their 5th location in Capistrano Beach! Partnering with Estrella Veterinary Hospital, Just Food For Dog will bring their healthy products to South Orange County. Little Paws Pet Boutique will have a booth at their grand opening and adoption event on Saturday March 28th 10am to 5pm. 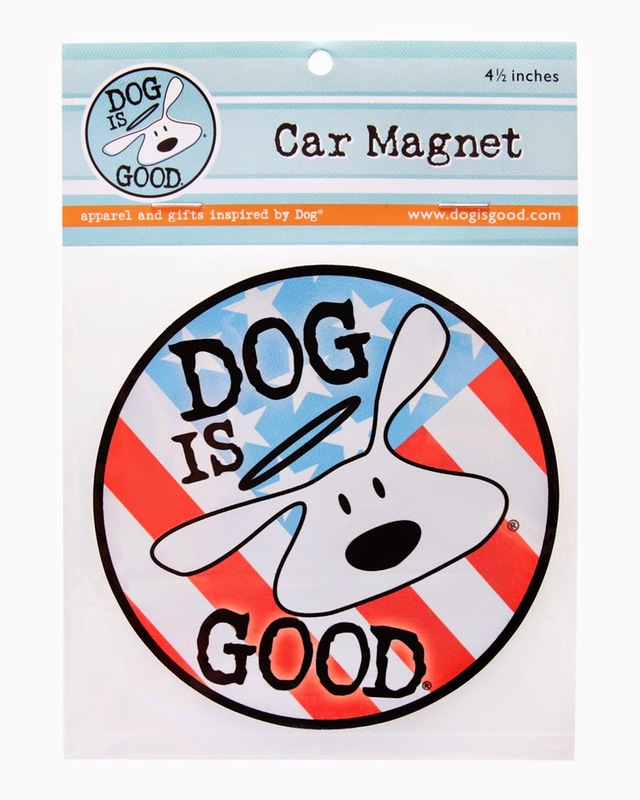 We will have new, seasonal and best selling dog and pet parent products at event prices. 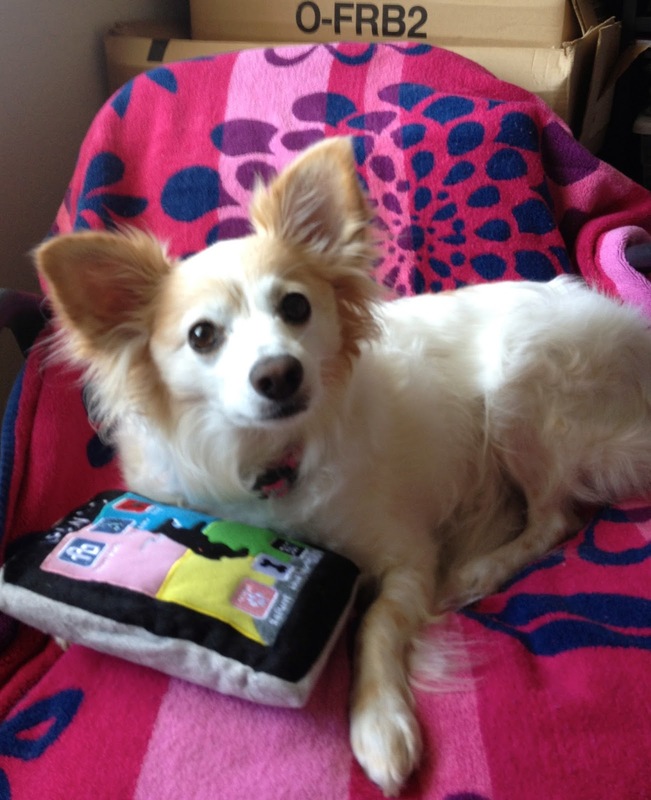 Stop by our booth say "Hi" to Gidget (LPPB Chief Dog Officer/model). 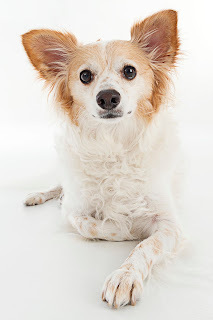 What are your dogs favorite Just Food For Dogs meals or treats? Today, is the last day of the 15% off Spring Sale! Also, we will be at the Dana Point Farmers Market Sat 03/21/15 from 9am to 1pm. More pet events and new products coming soon. Keep checking our website for updates. Bringing home a new puppy is such an exciting time. Not only are they cute, but they also have a lot of curiosity and energy. Your new puppy is likely to get into things while exploring their new home and surroundings. Prior to bringing a puppy into your home, make sure to examine your home for potential hazards and try to eliminate them. Here are some puppy proofing tips below. Get down to puppy's eye level and look at your house from your puppy's point of view. 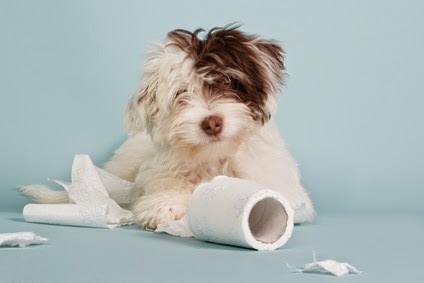 Any objects on the floor small enough for your puppy to swallow will need to be picked up and removed such as: plastic bags, string, pencils, pens, pins and buttons. Anything that can be climbed on to or pulled down needs to be secured. Move food out of reach. Especially, foods that are toxic to dogs such as: chocolate, raisins, grapes, onions, garlic. Use childproof locks on low cabinets that may contain chemicals such as cleaning products. Keep appliance cords out of reach. Keep your vitamins out of reach. Use a covered trash can or keep your trash in a closed cabinet. Secure lamps, bookshelves and decorations that can be knocked or pulled down. Put your clothes and shoes away so your new puppy won't use them as chew toys. Make sure to keep your purse out of reach from your curious puppy. Your puppy can get into coins, makeup or sugarless gum which contains Xylitol and is poisonous to your puppy. Keep all cosmetics, hair accessories, jewelry and other small items on a high shelf or secured. Make sure electrical wiring is hidden or out of reach. Keep the toilet lid closed when not in use. Shut the bathroom door when not in use. Make sure to use a bathroom trash can with a lid and/or store in cabinet. Store all prescription and over the counter medication and toiletries in the bathroom cabinet. Keep light and extension cords out of sight and out of reach. Make sure your remote control or other tech devices are out of reach. Check and remove house plants that are toxic to dogs out of reach. Be careful of your puppy around a rocking chair, an open recliner or sofa bed. Check, identify and remove any plants, flowers or fruit trees that are toxic to your dog. Secure areas with open water, such as a swimming pool, spa or fish ponds. Check your fencing and gate to ensure that there are no holes through which your dog can get out. Make sure your dog cannot jump over or dig under your fence to escape. Make sure to close off balconies or outside decks. Keep your dog inside if your lawn is sprayed with chemicals. Make it a dog free area. Secure all heavy tools. Make sure screws and nails are stored out of reach. Make sure that your puppy can't get into any garbage, chemicals, bug or rat bait other hazardous materials such as antifreeze stored outside or in the garage. Be aware that puppies can run though a closing garage door or go and hide under parked cars. These are a few puppy proofing tips that can help you keep your new puppy safe. If you have any more helpful tips please add them to the comments below. Little Paws Pet Boutique Spring Sale! Take 15% off your entire purchase from 3/13/15 to 3/20/15. Thanks for being "Pawsome Customers"
As the owner of a dog who loves to twist and back out of collars I have learned to always put on a harness on my dog when taking her on walks. With a collar and leash my dog pulls more and the collar tends to put more pressure on the throat causing her to reverse sneeze. My sisters dog has always worn a leather Buddy Belt Harness and when I found that Buddy Belt was also making a synthetic leather harness called the Buddy Belt 2 I was happy to try them out on my dog. 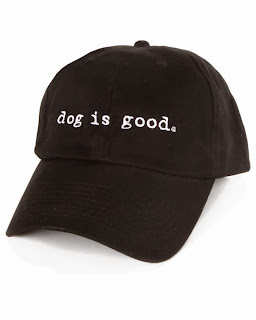 Comfortable, stylish and easy to put on it's become one of Little Paws Pet Boutiques best selling products. The Buddy Belt concept was started in 1997 by Roxanne Pettipas and designed for her miniature Dachshund Buddy who was gaging and coughing while walking. The harness called the Buddy Belt was launched at the PET Expo in Toronto Canada in 2001 and since then thousands of Buddy Belts have been handcrafted. Why do we and many of our customers love the BB2? The harness is light weight, conforms to the body and comes in 5 eye catching colors (Caramel, Red, Back, Blue and Pink). 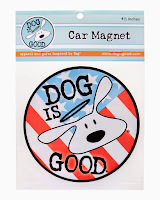 Its easy to use, your dog steps in and it quickly fastens with one buckle. 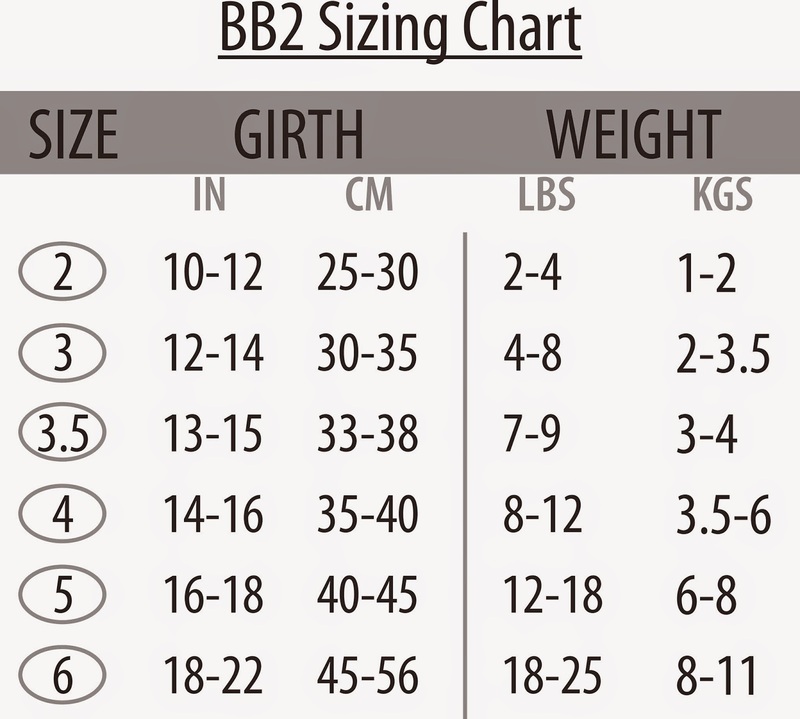 BB2 is made from synthetic leather using the same Buddy Belt design and hardware. Without compromising quality, it’s priced to work with any budget. Gidget give BB2 "Two Paws Up"
Gidget is shown modeling the BB2 blue in size 6. I could have probably fitted her with a size 5 although we choose size 6 because she is barrel chested and we love that we can put the BB2 over her clothes. Gidgets chest size is 20” Length is 18” Weight approx 18 lbs.